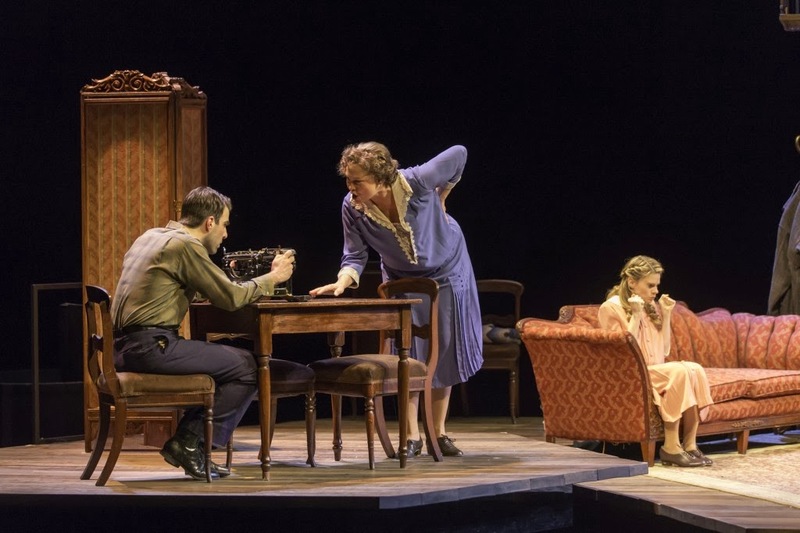 Cherry Jones, Zachary Quinto, Celia Keenan-Bloger and Brian J. Smith make up the cast of the memory play The Glass Menagerie on Broadway. 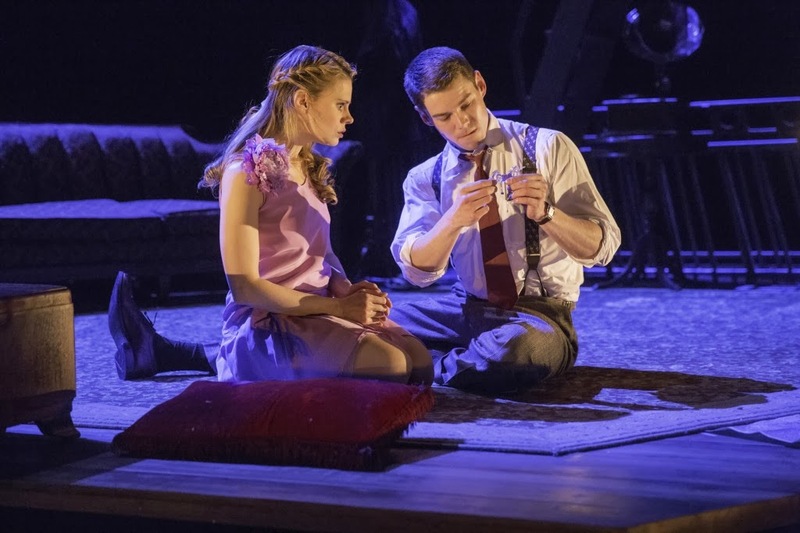 Photos from The Glass Menagerie website. Last Saturday morning was snowy and grey, and I said to TD, "I would love to go see The Glass Menagerie." I had never before seen Tennessee Williams' masterpiece. The play first came to Broadway in 1945 when Williams was only 34 years old, and established him as a great new American playwright. 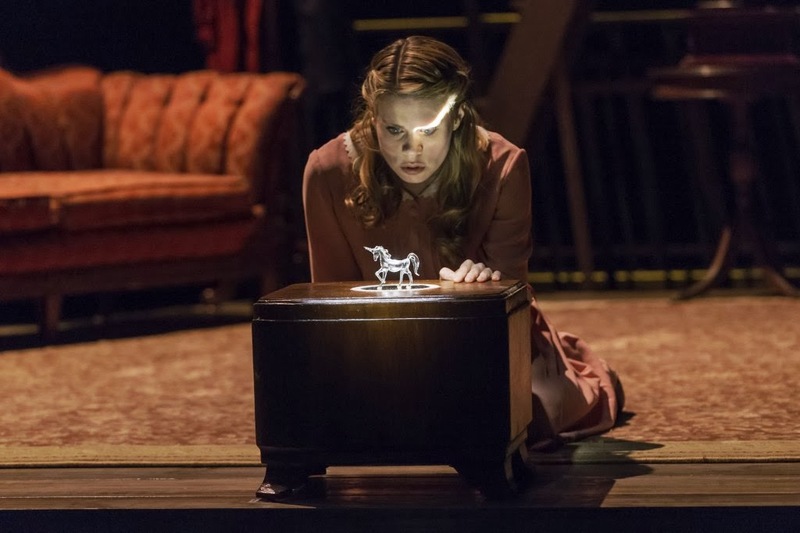 The Glass Menagerie is a memory play, as the main character, Tom Wingfield, remembers life with his mother and sister and a visit by a gentleman caller in the family's St. Louis apartment long ago. The current production on Broadway at the Booth Theater had garnered great reviews and was soon to close so it had been on my mind as something that I did not want to miss. At home, we went online to the TKTS website and saw that the play was listed that very day for half price tickets. We quickly got dressed and rushed out the door and took the subway up to Times Square, hoping the tickets would not be sold out. After an anxious wait in the line we reached the ticket window and scored two half price tickets for the matinee performance. 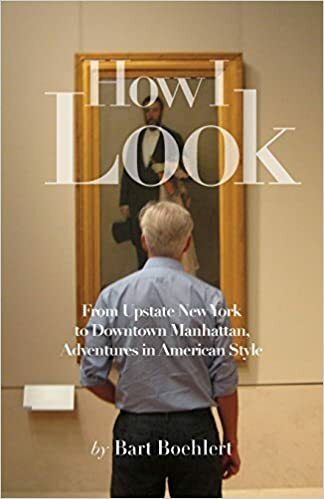 We had a little time to kill so we walked to Angus on West 44th Street, a favorite restaurant in Times Square, for lunch and sat in the bar area where we had a Croque Mademoiselle and a glass of white wine. Suffiently fortified, we headed around the corner to the Booth Theater, which is a great old Broadway Theater, and settled into our cozy, plush seats. It was indeed a beautiful memory play. The minimal set depicting the family apartment was arranged in pools of black shadows, and the lighting would dim when a character was remembering a story and going back in time. 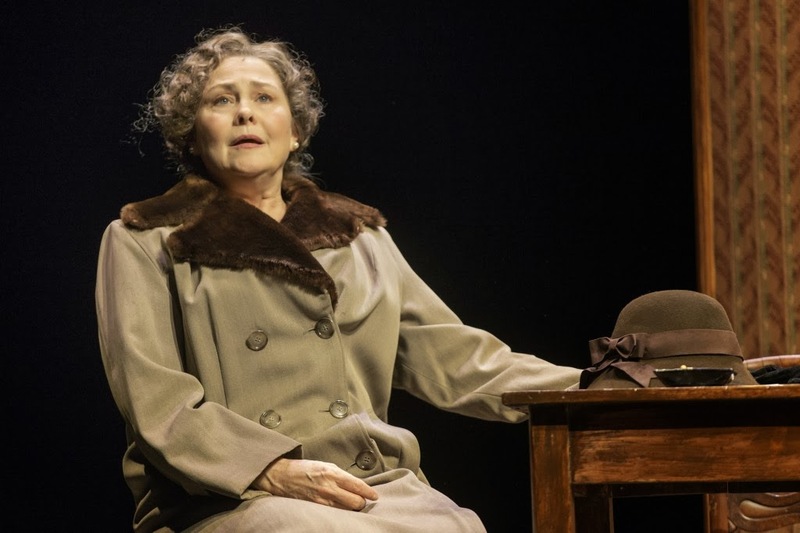 The cast was amazing – including strong, brilliant Cherry Jones as the bossy mother Amanda Wingfield, and Zachary Quinto, previously known to movie goers as Doctor Spock in the Star Trek movies, who was a revelation as the tortured Tom. He delivered a powerful performance in elegant, reserved moves. Of course the real star was the Tennessee Williams language and writing and storytelling – so poetic and lyrical and elegiac. The set and the performances and the writing fused together to create one of those memorable productions that stays with you long after. I was so grateful to see it with my Valentine. The play ended, there was a standing ovation, the lights came up, and they opened up the doors at the back of the theater. It was snowing so we bundled up in our big coats and left that dark cocoon of art and memory and went out into the white snow on Broadway. An experience beautifully told. Just wanted to tell you how much I appreciated it. Hi Sharron, Thank you! Glad you enjoyed. It was a fun afternoon in NYC.